This was a really fun project for me, and one I’m pretty proud of. 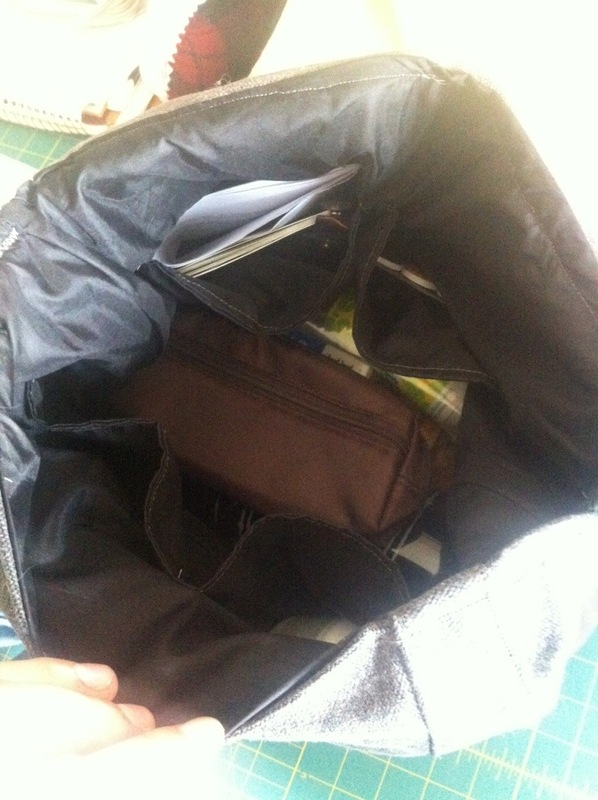 In addition to the fact that this is the first bag I’ve made (besides a basic tote), I’ve been feeling down about the quality of my sewing lately; fitting issues… zipper woes, etc, and this project really helped me get back to basics & focusing on improving quality of the basic skills, while still challenging me with learning new skills. One of the main new skills I learned was working with waxed canvas. I couldn’t find any pre-waxed in the colours I wanted so I decided to wax my own. It was fun – time consuming but worth the time & effort; I used a particularly heavy washed canvas and I thought it was really cool how the thick, stiff canvas changed colour & became more supple once cured. Working with this very thick fabric was a challenge in itself. My machine is a trooper – it handled 4 layers fine, but as soon as there was more, or a thick ridge (which happened often) it needed help. There was a lot of hand cranking and I went through 3 denim needles in the process lol. 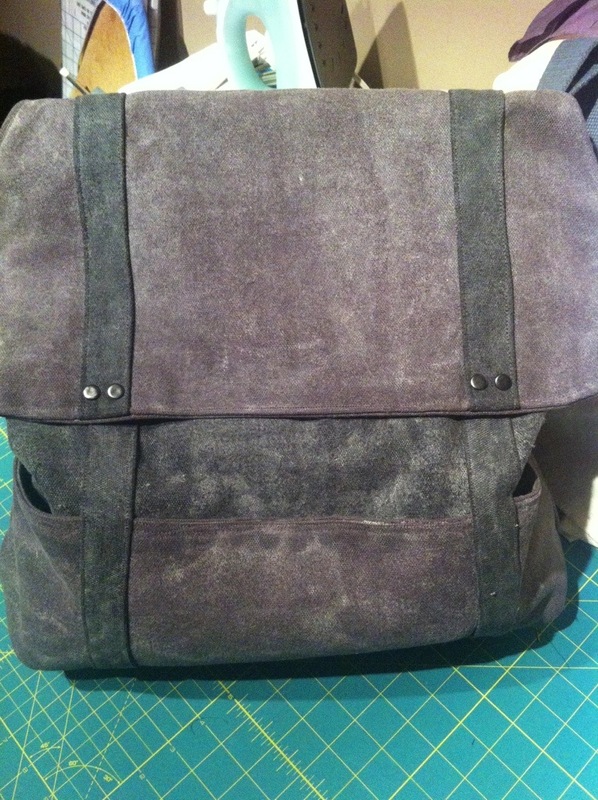 Another thing I learned is that you can’t press waxed canvas, even from the inside; I was gentle & used a press cloth & low heat but the waxed surface blotched & I had to re-treat that area; afterwards I pressed using pressure only; only heat from my hands and in cases with thick seams, I used a hammer to pound seams flat or open. Over & above all else, this project reminded me how much I LOOOOOOOOVE wearing pencil skirts: these are ME! I’ll wear an A-line; that’s ok, or definitely a flowy maxi skirt (I love me a maxi!!) but i always feel mildly imbecilic & twee in circle or full skirts, for some reason LOL. So the end result is that if i make it again, i will add the second set of darts and the original waistband pattern SHOULD work, and it SHOULD fit me at the waist LOL. So… let’s talk zippers for a sec. When I first started sewing, I was able to put in a reasonably invisible zipper and a reasonably tidy regular zipper no problem. I haven’t changed machines, and nothing else has changed but somehow I’ve lost the ability to install a decent zipper!!! I’m not gonna lie – this has been really making me down on my abilities, as I never seem to be able to complete a project without problems, and the zipper is the worst of them, despite how hard I try. Honestly, I’m not sure what the deal is but I have decided to SLOW DOWN, focus on doing the basics really really well, and enjoy the process instead of thinking ahead to the finished piece. Perhaps that will help me discover where I might be going wrong. This isn’t easy for me, because I have SO limited time as it is, with my heavy work schedule, but if I’m not making things I love at the end of the day, even that limited time is wasted anyway, so it seems like the right thing to do. So I did a lapped zipper and revisited my much loved hand picked stitches, learned from Gertie’s Bombshell class. I still have a slight bubble at the base of the zipper but whatever lol – it’s better than most of the zippers I’ve done lately. I did a lot of hand sewing on this skirt and I really have to give a shout out to Sunni’s silk thread – it’s so fine it’s almost invisible, and lovely to work with. I decided to add a lining (this was my first time doing this without full-on instructions – they’re not included in the pattern, although basic steps are included separately in the book). 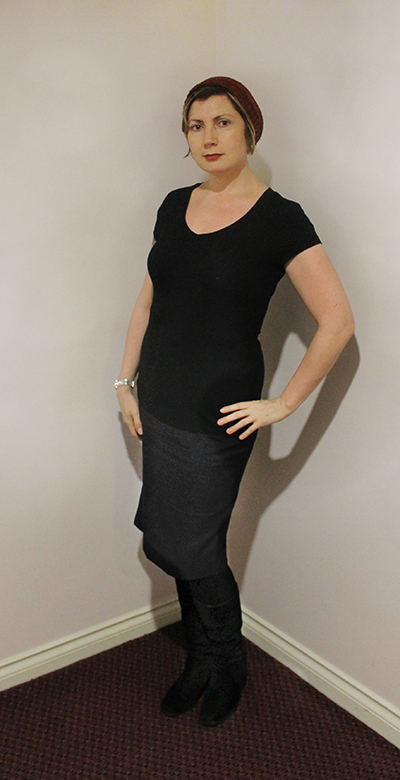 I’m glad I did – because I will only be wearing this skirt with tights, the lining makes a big difference in comfort and smoothness. 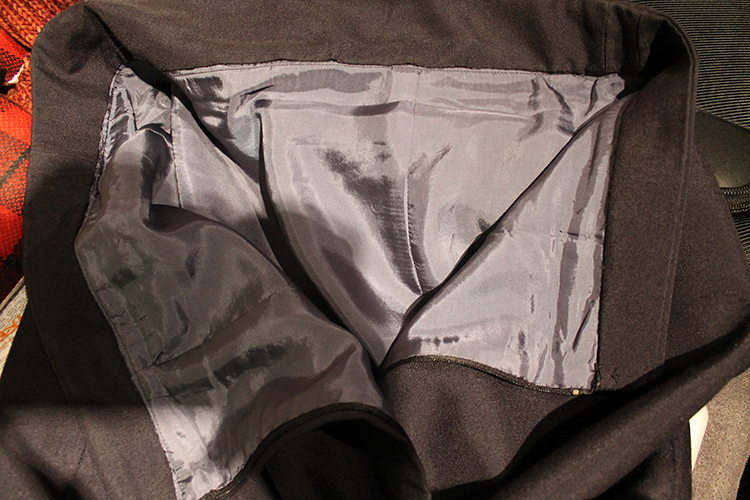 I also did a hand sewn invisible hem & catch stitched the lining to zipper & vent.